England were denied a point when referee Danny Makkelie awarded a foul in favour of Spanish goalkeeper David de Gea for minimal contact with Danny Welbeck. 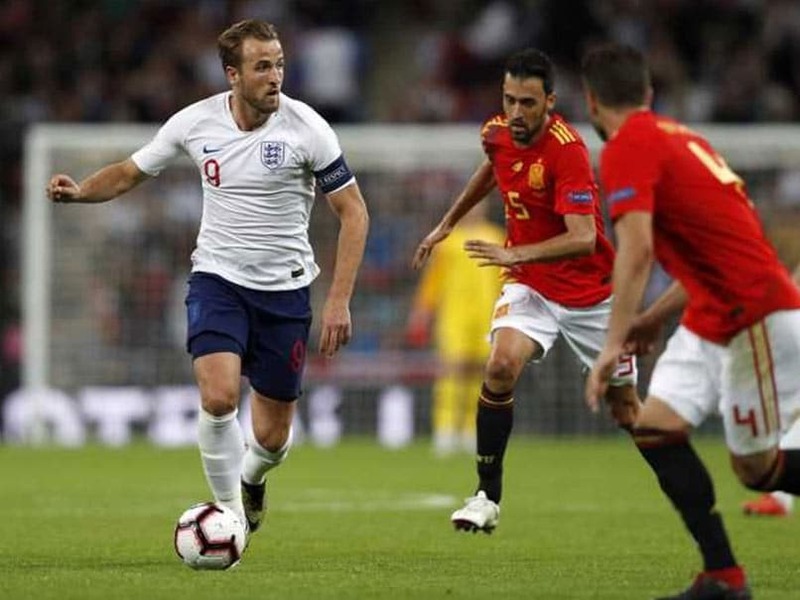 Harry Kane raged at Dutch referee Danny Makkelie for ruling out a late equaliser as Spain punctured England's post FIFA World Cup euphoria by winning 2-1 at Wembley to hand coach Luis Enrique a winning start in the Nations League. 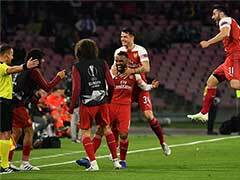 In their first game since reaching the semi-finals in Russia, England were denied a point when Makkelie awarded a foul in favour of Spanish goalkeeper David de Gea for minimal contact with Danny Welbeck. 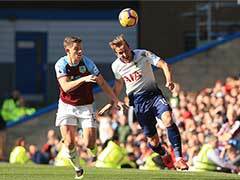 "In the big moments you need the referee to stay strong, but unfortunately he has bottled it," said Kane. "Big moments you need a firm referee who don't, under the pressure, get wrong decisions, basically." Despite the joy of reaching the last four in Russia, England have now lost three consecutive games for the first time in 30 years. "We have to accept Spain were better than us for long periods of the game," said Southgate. "Their retention of the ball was top class. We were a bit disjointed in our pressing, but even when you press well against them they have some wonderful players. "We aren't able to do that when teams press high against us yet." There was some relief for England, though, as left-back Luke Shaw confirmed he is fine after being stretchered off early in the second half with a nasty head injury. 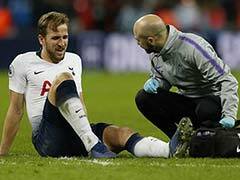 Kane was presented with his Golden Boot for being top scorer at the World Cup amid a buoyant atmosphere before kick-off that continued with a fast start from the hosts, thanks in large part to the unfortunate Shaw. 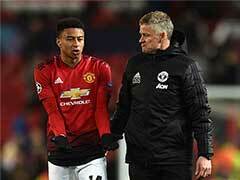 The Manchester United left-back was making his first international start in three years after battling back from a broken leg and loss of form in the past two seasons. Kane released Shaw free down the left on 11 minutes and his teasing cross curled perfectly into the path of Rashford to slot past United team-mate De Gea. However, the England fans had barely retaken their seats by the time Spain levelled two minutes later when Saul swept home Rodrigo's cross. England's strength at set-pieces was one of the key factors for their success at the World Cup, but they were easily outdone for the winner by a simple Thiago Alcantara free-kick that Rodrigo slotted home at the near post. De Gea had been labelled as one of the main culprits for Spain's poor showing in being knocked out by the hosts at the last 16 in Russia as he made just one save in the whole competition. However, the United 'keeper produced the sort of stunning save he does routinely at club level to deny Rashford an instant equaliser with a powerful header from point-blank range. "I am especially happy about De Gea's performance," said Enrique. "We have one of the best goalkeepers in the world, he's showed that for many years in the Premier League. We are talking about a player of a top level." The second period had barely begun when Shaw suffered a sickening blow to the head as he clashed with Dani Carvajal. A five-minute stoppage ensued as Shaw was carefully carried from the field on a stretcher and with an oxygen mask strapped around his face. 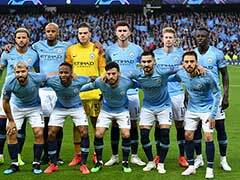 England, though, finished the stronger and only De Gea with two more stunning saves from Rashford and the referee denied them at least a share of the points.